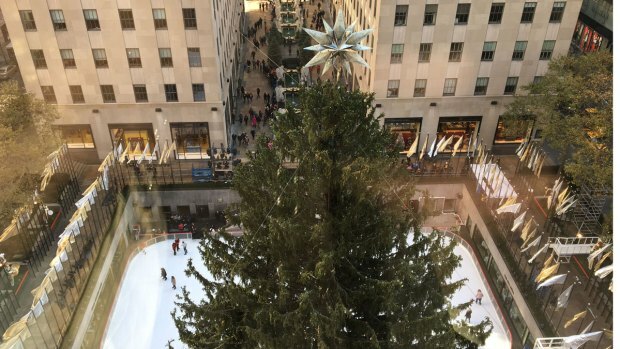 The holidays are officially over: the Rockefeller tree has come down. 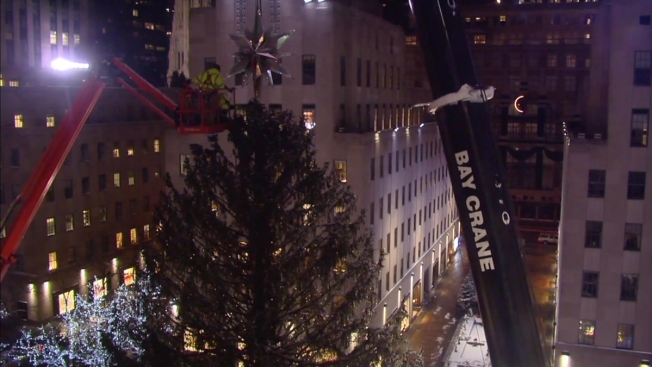 A crane arrived to Rockefeller Plaza late Saturday and workers removed the Swarovski star, which shone with 25,000 Swarovski crystals and a total of one million facets. The 550-pound star had been sitting atop the 94-foot Norway spruce, the second-largest tree ever to take over the plaza, since Nov. 16. Although the tree from Oneonta, New York, has left Manhattan, its next destination may be its best: the tree's wood will be used for a Habitat for Humanity house. 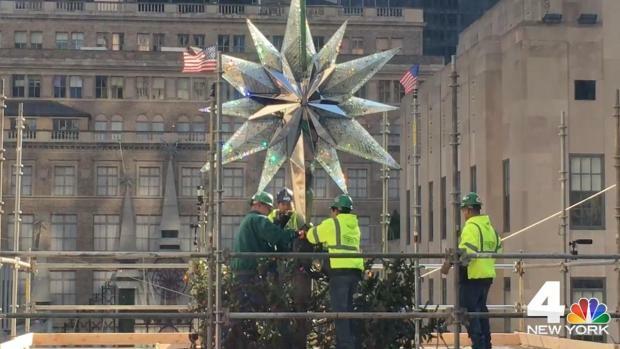 The star is made of Swarovski crystals, and will sit perched 94 feet above Rockefeller Plaza. Watch the moment the 2016 Rockefeller Center tree lights up!